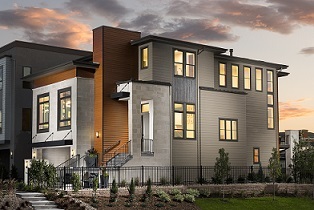 Bellwether place has officially sold out all 18 homes in the community and took home a big award! This community was recently recognized nationally by winning an Award of Merit in the Annual Gold Nugget Awards. These awards honor architectural design and planning excellence and draw entries from throughout the United States and internationally. We earned Merit honors for our Residence One model in the category of Best Single-Family Detached Home – 2,500 to 2,999 sq. ft. This community will finish up construction early 2019. Congratulations to our homeowners who get to call this great community their new home!